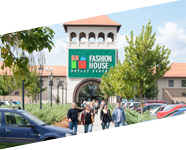 Mustang Jeans, one of the world’s most popular denim clothes producers and Intimo, lingerie manufacturer, joined FASHION HOUSE Outlet Centre Bucharest. 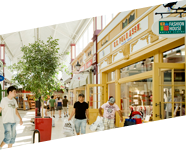 – We are constantly improving tenants’ mix to meet the needs and desires of our customers, adding new partners on a monthly basis. Today, we are proud to announce our latest 2 tenants – Mustang Jeans and Intimo – said Brendon O’Reilly, Managing Director of FASHION HOUSE Group. From business perspective, our recent significant grow is a clear sign that Romanian market is quickly rebounding after economic slowdown – he added. Mustang Jeans brand is present on the European market since 1948, when the first pair of Mustang trousers where produced. Its products are dedicated to people who appreciate the highest quality and original design in affordable price. Mustang style combines most innovative trends with classic style, which is a reflexion of company’s motto: “Genuine style will never die”. Intimo, manufacturer of stylish lingerie, was founded in 1990. 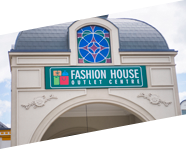 Company excels in integrating fashion, innovative fabrics and uncompromising comfort in every garment it makes. Intimo lingerie is available in more than 1500 stores all over the world. FASHION HOUSE Outlet Centre Bucharest is home to the impressive portofolio of tenants, including: Puma, Adidas, US Polo, Champion, Stefanel, Mango, Tom Tailor, Ecco, Camel Active, Franco Feruzzi, Samsonite, Reebok, Diesel, Quiksilver and Lee Cooper, Guess Jeans, Napoleoni, Cielo Venezia 1270 and recently added TED’s Coffee. 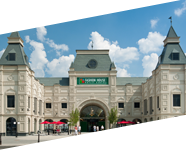 With 30% to 70% discounts on branded fashion items FASHION HOUSE Outlet Centre Bucharest completes perfectly the offer of West Park – one of most popular retail parks in Bucharest, known from its broad household goods offer.